"Glass is the most magical of all materials. It transmits light in a special way." 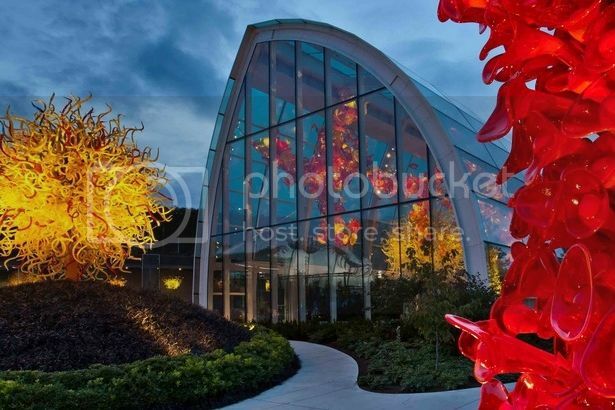 Dale Chihuly is a master artist. He creates sculptural works that form glass in innovative and unusual ways. Architects have also discovered ways to use glass in innovative and unusual ways. 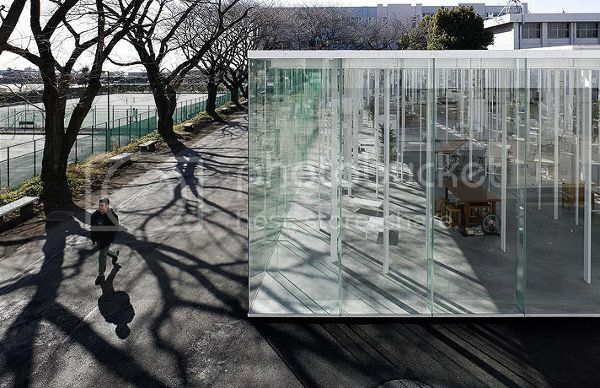 This post continues the exploration of the connections between architecture and glass which we began last month. 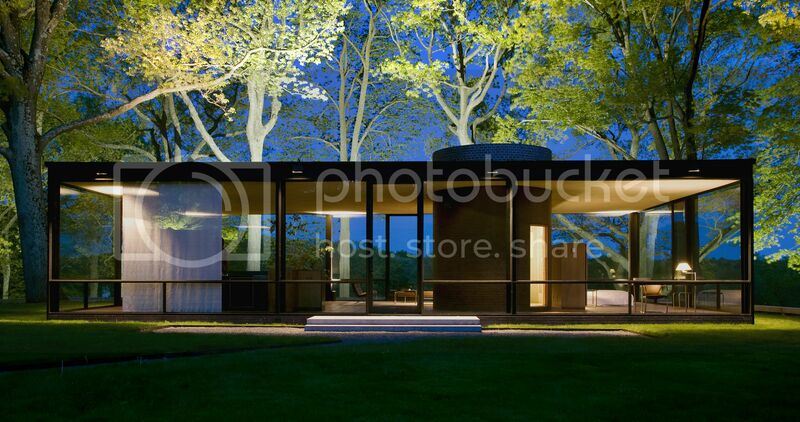 The late architect Philip Johnson, inspired by drawings of Meis' Farnsworth House, designed his own glass house in 1949. When I visited the house in person, I was impressed by its simple beauty. There are no solid walls in the house, save a core that contains the bathroom. The exterior walls run continuously around the perimeter and from floor to ceiling. While the views out are spectacular, Johnson seems to have given little consideration to the fact that the glass would also permit views in! This aspect of the design explains why Johnson would frequently have meetings in the glass house but chose to actually live in another, more traditional house, on the the estate. 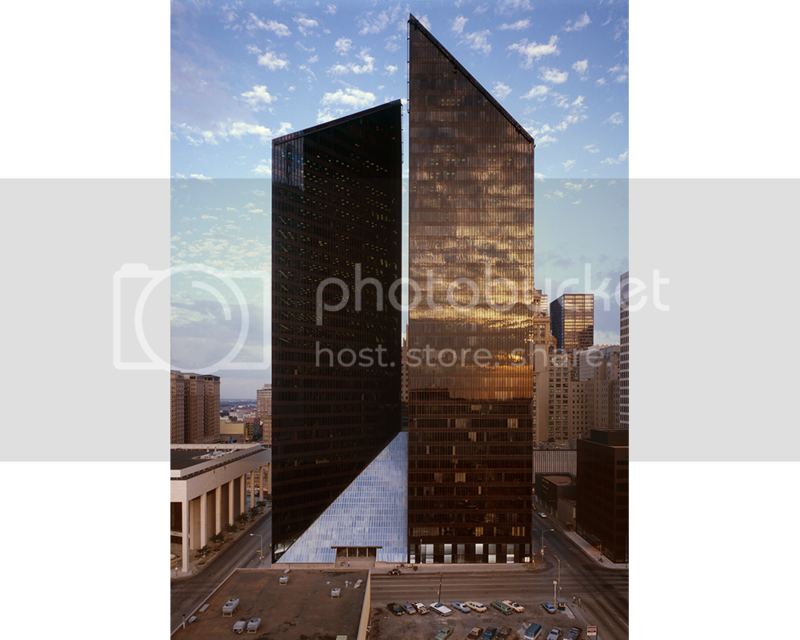 Interestingly, twenty five years later, Johnson's simplistic use of glass reappeared in high-rise construction. Similar glass boxes began to appear on skylines across the country. 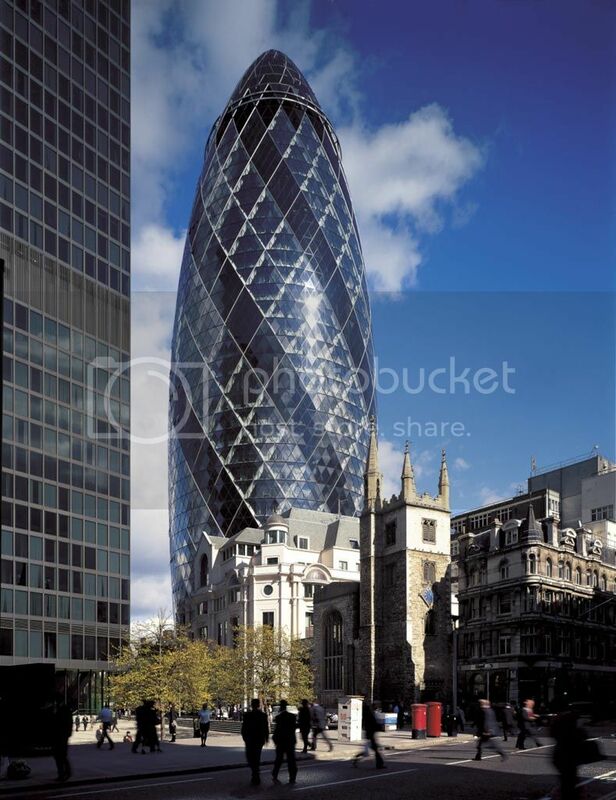 London's skyline features an early 21st century building which is also sheathed in glass, but which breaks the box. The glazed exterior is shaped to deflect wind while allowing light well into the floor plates. A public street level plaza forms the base while the top contains a club room offering 360 degree views of the city. 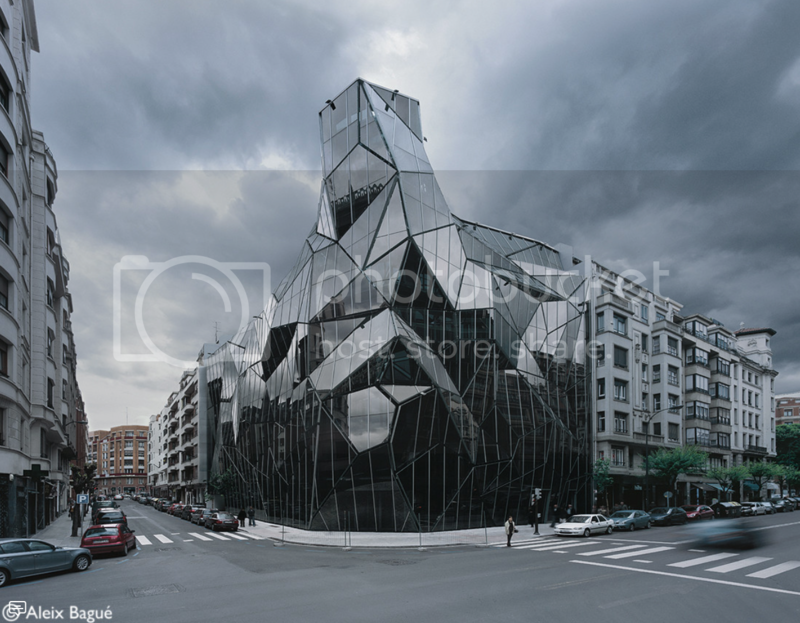 Not to be outdone by Gehry's Guggenheim Museum in Bilbao, the Health Department Headquarters is an eye-catching building that uses two layers of glass to achieve its sculptural affect. One layer is held tight against the building frame while the other is juxaposed to allow for an exterior corridor, while at the same time forming dynamic shapes that respond to the energy of the surrounding context. In many ways the 2010 KAIT Workshop brings us full circle to Johnson's Glass House. The simple rectangular form has proven classic. The Workshop, designed for students to drop in and work on various projects, lacks interior walls. The thin roof is able to span the width of the building through the use of numerous thin columns, a stylized version of the grove of cherry blossom trees surrounding the building. The attributes of glass - a material that protects us from the elements, allows views, provides for daylighting within, and (when used creatively) forms an interesting skin - have made it a preferred material among architects. Another preferred material, often paired with glass, is steel. That will be the subject of the next post. Join me next time for Add Carbon.